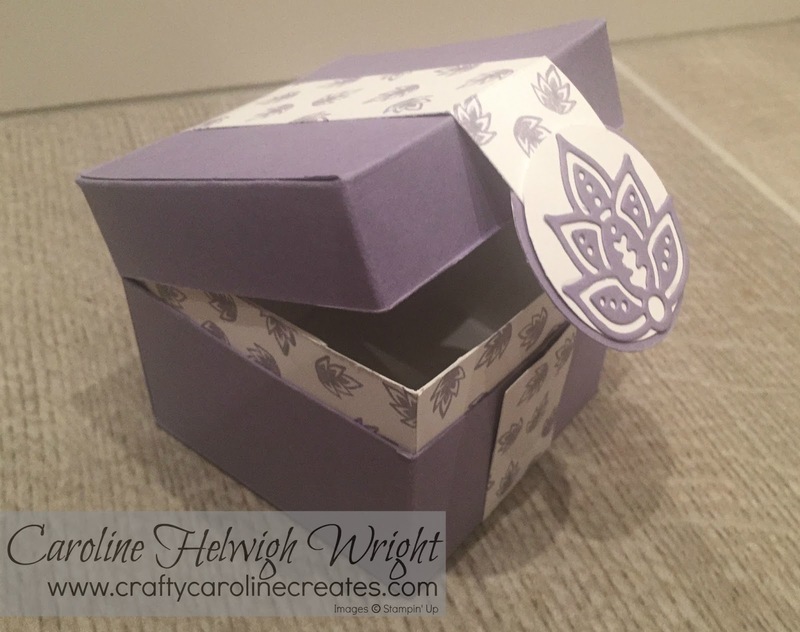 I've loved the die cut shape on the front of this box from the minute I saw it but I really can't believe this is the first project I have used it on! I really like this little box - I love the die cut clasp. 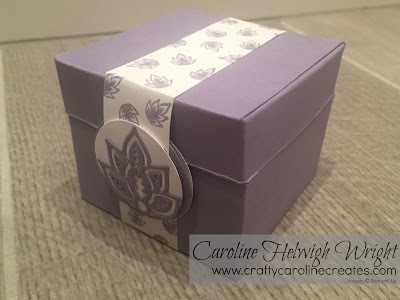 I love the subtle but effective stamping using one of the smaller stamps in the Paisleys and Poseys set, I love the extra surprise aspect when you open the box, I love that it closes with a magnet (! )......I could go on but you get the idea. I have used Wisteria Wonder to make my box, combined with good old Whisper White but I know this would work really well in so many other colour combinations. If you would like to have a go at making your own version or would just like a close look, check out my YouTube video HERE. Insert Card Stock - just smaller than 6-3/4 inch square. score on all 4 sides at 2 inches. Hi. Thank you for the Tutorial. And congrats for this beautiful project. Have a good continuation with other beautiful project !